If you keep up with the beauty community, I'm sure you will have no doubt heard the hype about the new Makeup Revolution Conceal and Define concealer. It seems to be pretty much all anyone is talking about... and for a good reason. The brand recently released 18 shades in this concealer line which is an absolutely crazy amount compared to the usual drugstore standards. The shades range from fair to deep, although I'm sure we can agree that this line could potentially use a larger selection for deeper skin tones. 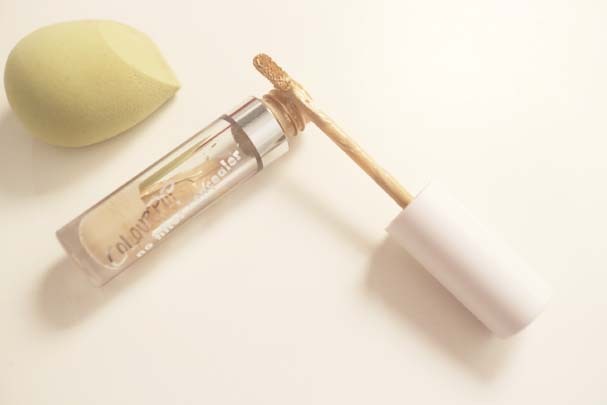 The claims for the concealer suggest it's a lightweight formula yet has a full coverage, matte finish which doesn't emphasise your pores or settle into any fine lines. It can be used to brighten your under eyes, conceal blemishes, counteract the dark circle or even contour - although this is probably easier for those with fairer skin as there is a greater colour selection available. The applicator is very similar to the beloved Tarte Shape Tape, which means it's a large doe foot application which I'm personally a huge fan of, I think it applies the concealer more smoothly and obviously covers a larger surface area effortlessly. 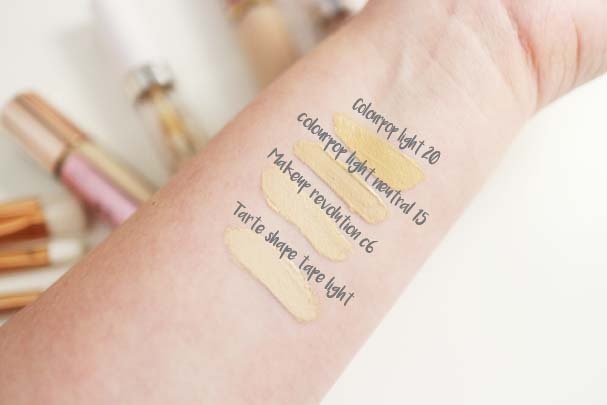 You get 3.4ml for £4 which is incredibly affordable, but smaller than your average concealer. You've probably seen and read a lot of comparisons between the Shape Tape and the Conceal and Define concealers, so I decided to test it against another affordable concealer, the Colourpop No Filter concealer. This is a concealer I have been using since it launched and I'm a huge fan. Not everyone will be able to afford or get their hands on the Tarte Shape Tape so if the MUR concealer didn't work for you, you'd be stuck. Now, I know some people find Colourpop tricky to get their hands on, but they do offer international shipping and sometimes they've got promo's for delivery too. 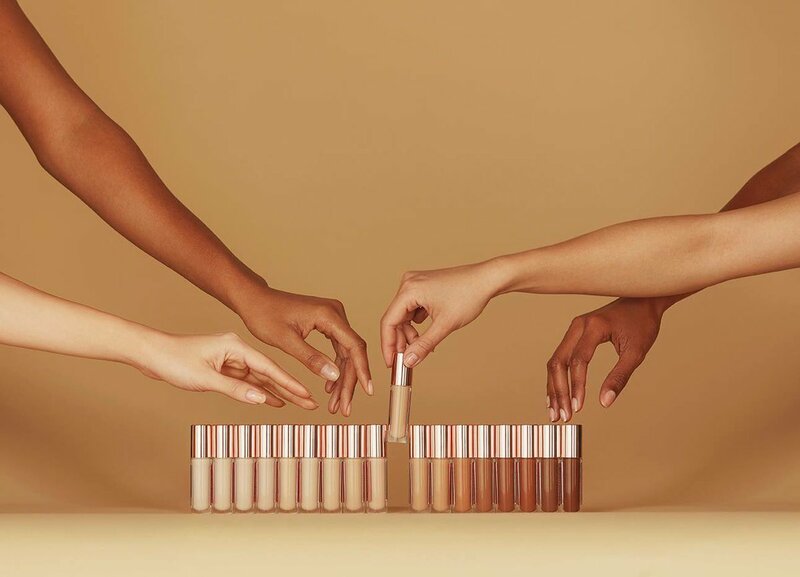 Makeup Revolution: " Lightweight yet full coverage concealer to cover blemishes, even skin tone and counteract dark circles, with a matte finish that won't settle or accentuate fine lines and pores. Long wearing intense pigment that can also be used to contour and add definition "
Colourpop: " Soft blurring pigments to give you a creaseless, matte finish "
I've carried out a few daywear tests - applying the Makeup Revolution concealer under one eye and the Colourpop concealer under the other eye to try and decide which I like better, and it's actually such a hard decision. I honestly think there's very little difference between the two concealers. I found the Colourpop concealer tend to blend out easier whereas the Makeup Revolution formula is quick drying so you have to work faster. I found both formulas to settle into my undereye lines so there wasn't much difference there. There was possibly a slight difference in the coverage with undereye bags where I found Colourpop to be a better for coverage for dark circles, yet the Makeup Revolution performed better for covering blemishes. Lastly, I feel like the Makeup Revolution applicator is more gentle for application because of the shape compared to Colourpop. 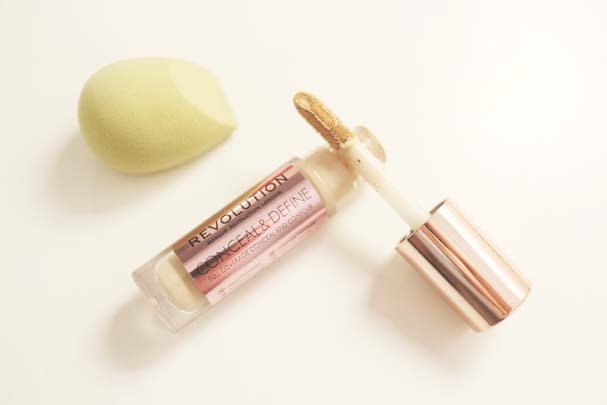 If you're in the UK, you'll probably find the Makeup Revolution Concealer easier to get your hands on, whereas if you're from America, you should just have both in your collection! 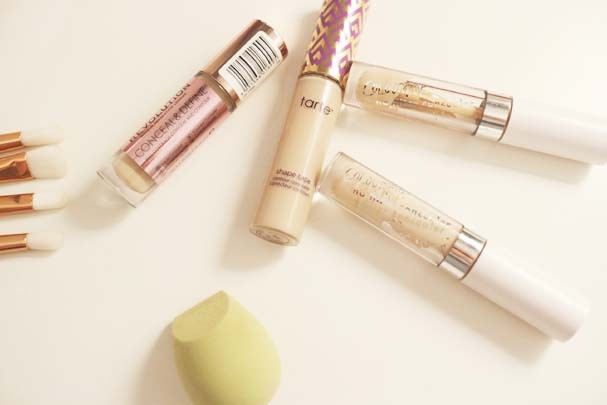 Which concealer do you prefer? I am so over due for a makeup revolution order. No brand has a situation where every one of their products is perfect but the price range of makeup revolution mixed with their AMAZING range makes so keen on making another order. It's been like over 2 years as I've been distracted by other brands but I am so keen on making another order.